Located between Orange and Avignon, Domaine de Saint-Paul is a Châteauneuf-du-Pape. The domaine was built in 1934 and was purchased by Charles Establet in 1958. The property was expanded in the seventies, under the management of his daughter Christiane and his son-in-law Pierre Elie Jeune. The pebbles in the property's soil are a blessing for the vines. The pebbles retain the heat of the sun during the day, and give it back to the vines during the night. 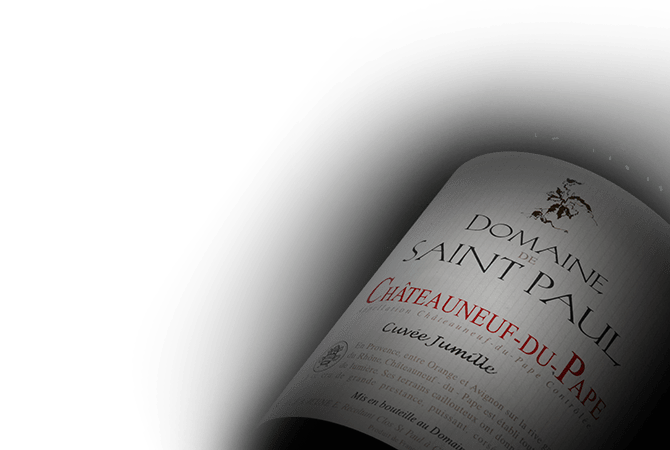 As of 2004, Christophe and Isabelle Jeune have managed Domaine de Saint-Paul and continue to work to produce exceptionally expressive wines.